Porto based architects Brandão Costa rebuilt and extended a small rural stone house in Melgaço, Portugal, to form a new, timeless structure with a limited, local materials’ palette related to its powerful landscape and traditional character. 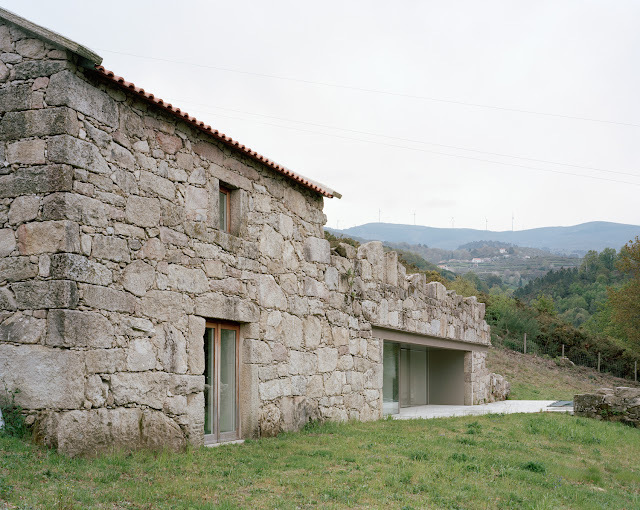 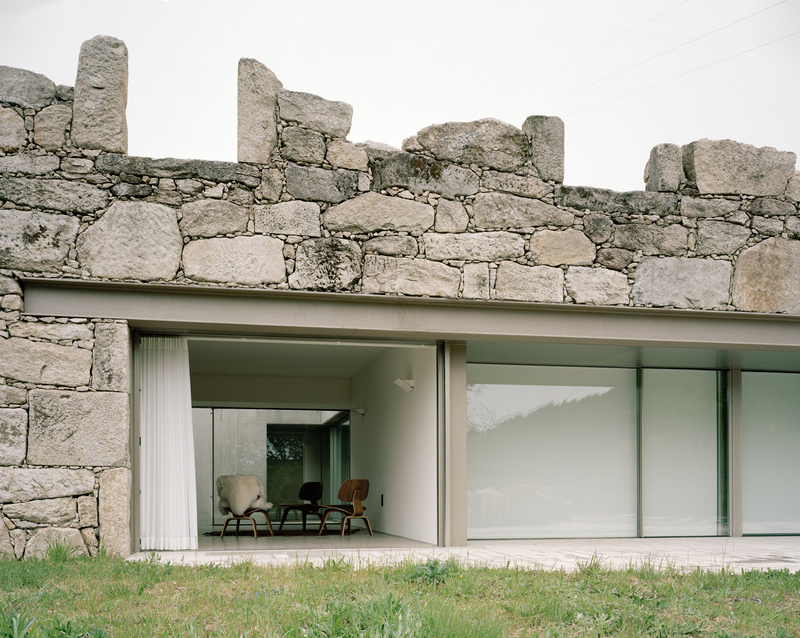 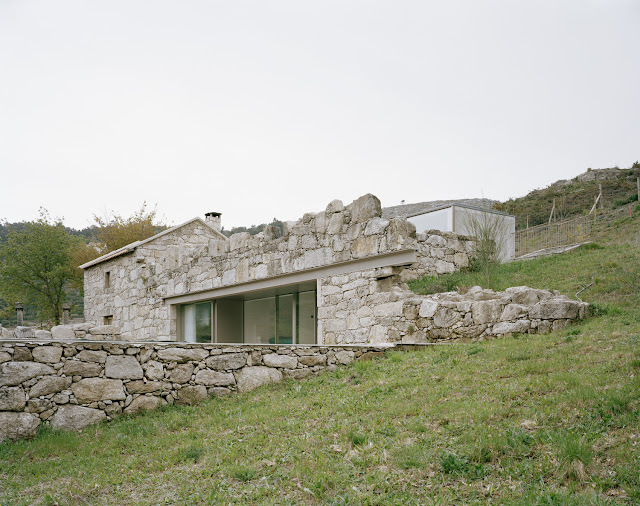 The house to be extended, a very small rural stone building, formerly inhabited by a family of 11 members, fits into the rough terrain of a large plot of land in Melgaço, in the interior of Minho, in Northern Portugal. The powerful landscape and the character of the existing ruin suggested an extension to the house like a timeless construction, with no defined boundaries, but limited by the local materials. 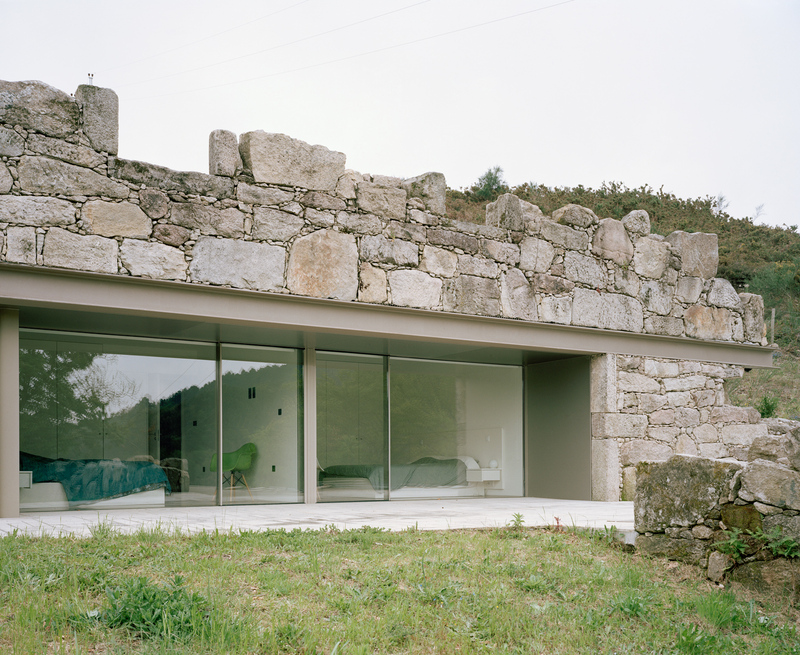 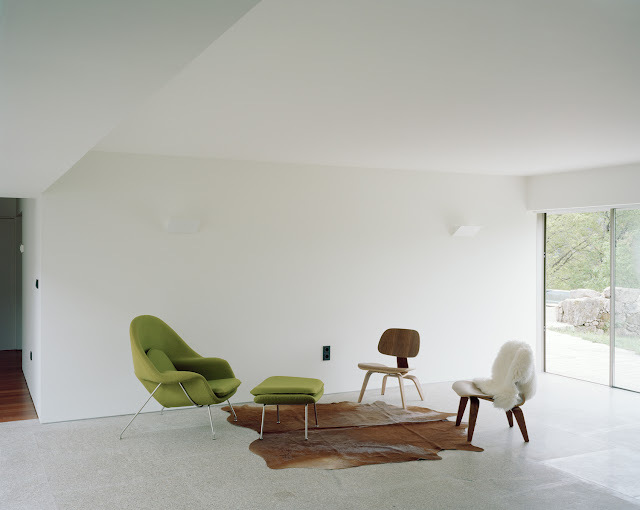 The extension to the house, which accommodates the lounge and three bedrooms, is an underground body which lets in natural light through the opening of a courtyard to the east, cut out from the land, and the west extension of the original façade: a granite wall made of stones from another local building since demolished. 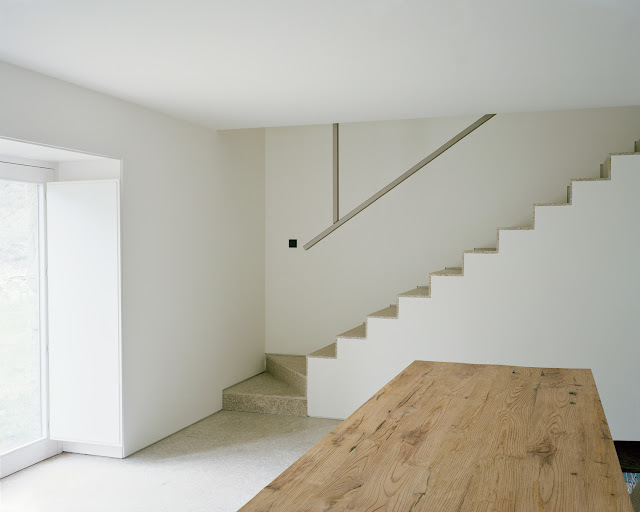 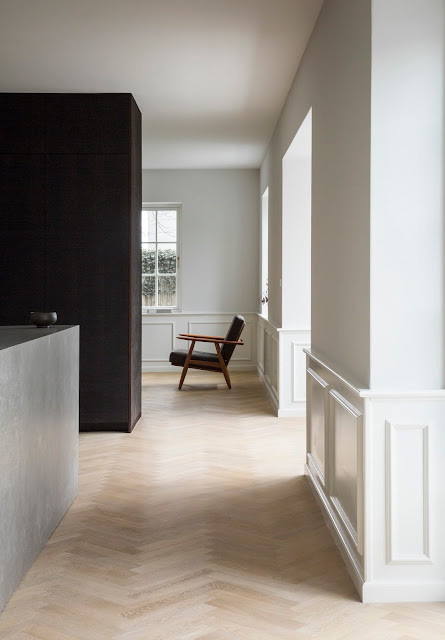 The small house contains the dining and cooking areas on two floors, connected by an interior staircase against the north façade. 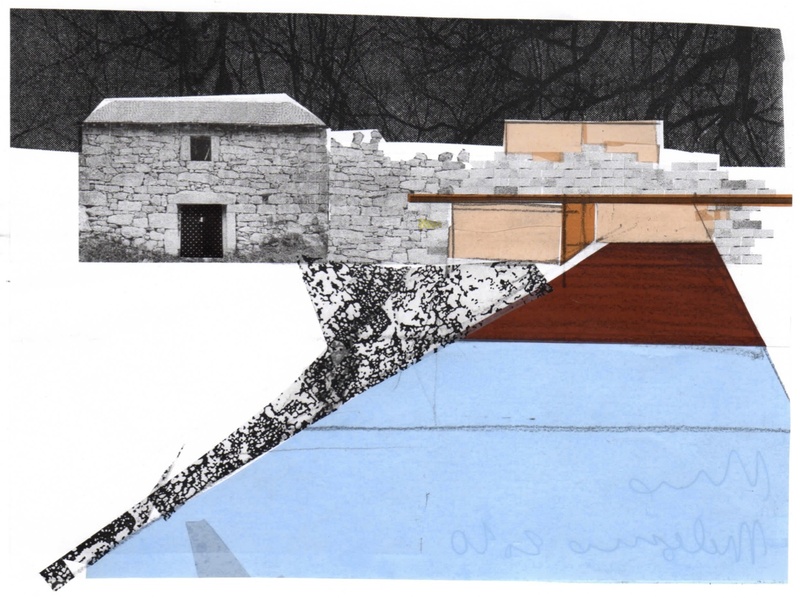 To the east, a concrete canopy for car parking and protection and to store firewood, and a glazed body for a small kitchen garden, and to the west a swimming pool, enclosed by a dressed stone wall to accommodate the tank. 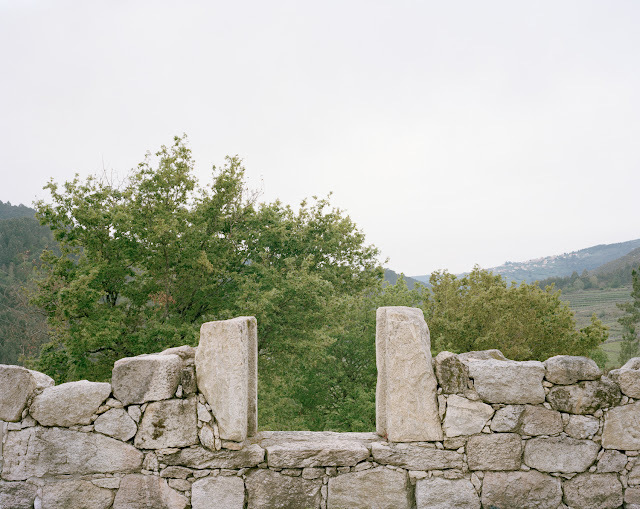 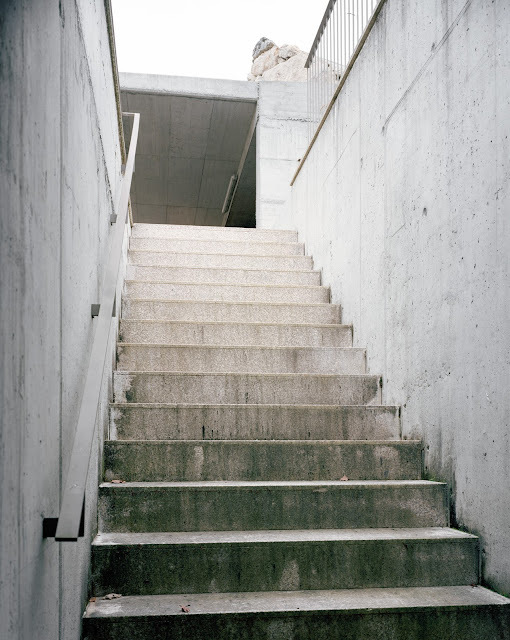 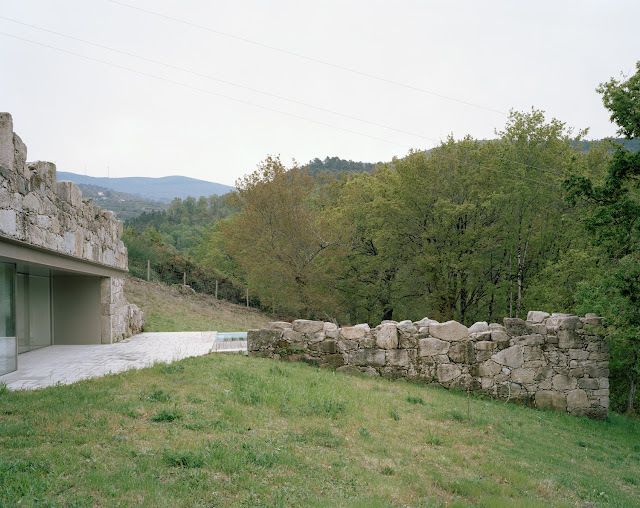 To the east, the organic arrangement of the bodies and walls built into the terrain, and their routine function, confer a homely informality on the construction.